In a news carried by AFP on Workers Day (May 1, 2012), Australian rare earths miner Lynas is understood to have launched legal action against the most vitriolic opponents of its proposed plant in Malaysia following fierce criticism that it is unsafe. Lynas plans to start production soon in eastern Pahang state to process rare earths imported from Australia, effectively breaking the Chinese stranglehold on the materials. But the plant has been hugely controversial with fears it will harm the environment by producing radioactive pollution. Protests have been held and the Lynas website hacked, proving a headache for Malaysian Prime Minister Najib Razak's government ahead of elections expected to be held soon. Lynas says the facility - the Lynas Advanced Material Plant (LAMP) - is safe and has been the target of a "baseless scare campaign". 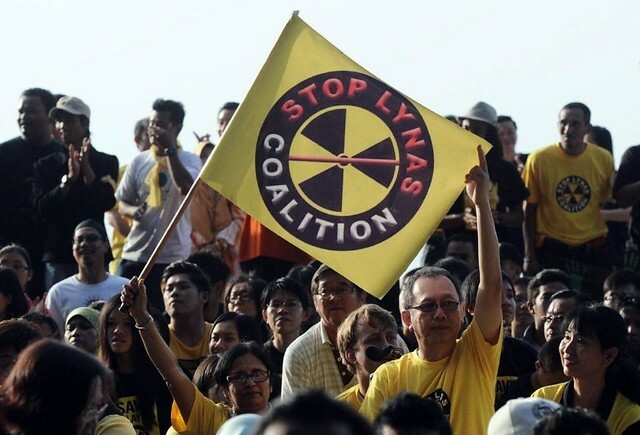 "Lynas has commenced defamation proceedings in Malaysia against the 'Save Malaysia Stop Lynas' group and various media organisations," it said in its quarterly activities report released Monday. "The proceedings relate to various false and misleading statements that have been published in Malaysia concerning Lynas and its business." Executive chairman Nick Curtis told Australian media Tuesday that some recent claims had crossed the line between debate and defamation. If a temporary operating licence, TOL, must be issued, the company must ensure strict adherence to the stipulated operations and maintenance procedures and preferably be done under the supervision of independent party/ies. The planned preventive maintenance (PPM) of machinery and facilities must be religiously followed including the disposal of wastes. The plant is operated by human and without stringent monitoring, there are bound to be lapses in the process control resulting in harmful products (and wastes) being discharged to the environment. I am not overly worried about how safe the facility is, I am more worried about how well they will maintain it and even more worried about the waste disposal. Any location yet? The best and stringent process control must be matched with proper maintenance of equipment. If the government is adamant in setting up such facility - and we know we have choices - let's pray for a safe and clean environment in Gebeng Pahang, long after its commencement.